Clutter happens easily. Organization takes effort. 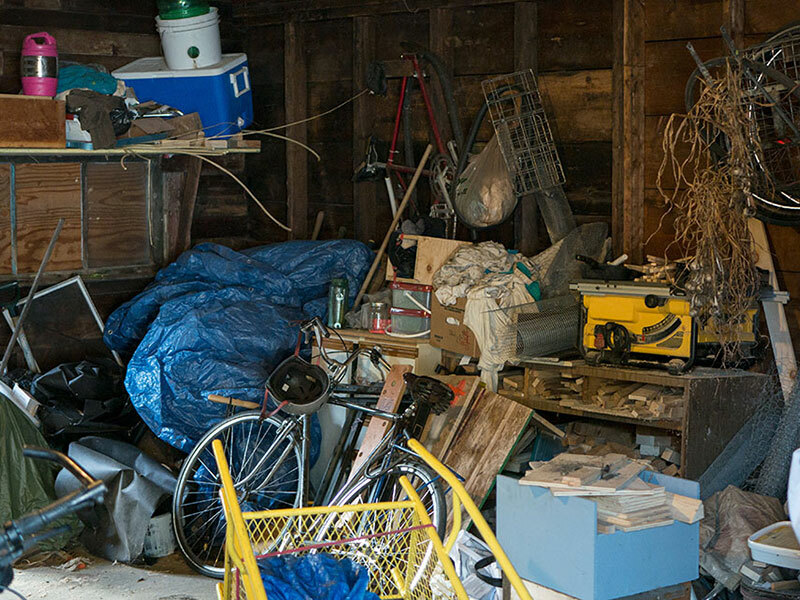 Maybe some people are just naturally organized and clutter-free, but for most of us, keeping our storage shed organized will take some effort. Spending some energy on a good storage shed organization system will help us feel better about our shed, our items in storage, and our own self-worth. Here is a list of 8 types of shed organization systems with photo examples to help you get your creative organizational gears rolling. Shelving is one of the most common ways to provide space for organized storage. Adding shelves to your storage shed really increases the storage capacity of your shed. 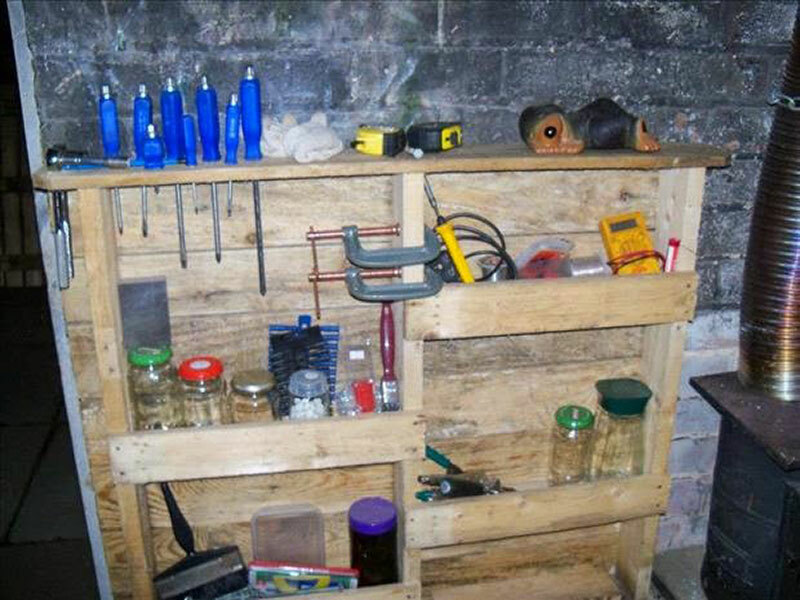 If you are a DIY kind of person, building wall shelving is a great shed storage option. If you don’t have the time to build your own shelves, portable shelving units are another great option for storage shed organization. Here are some examples of shelves that work well in storage sheds. Investing in pegboard storage or adjustable wall panels is a great option if you’ll be using your shed as a workshop or hobby shed. These types of storage systems have an incredible amount of storage accessories to go with them, including hooks, small shelves, hangers, baskets, and bags. 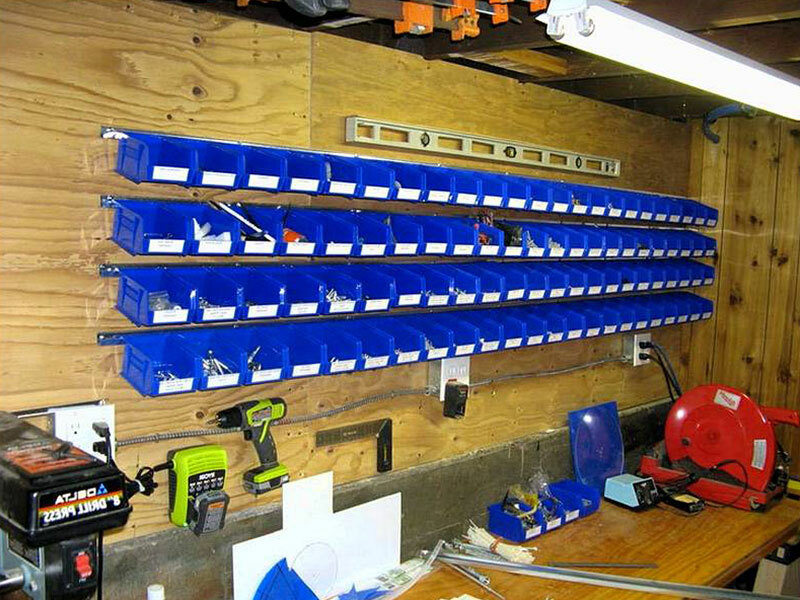 Pegboard or wall panel storage works well for tool organization. It is also valuable for clearing up floor space by hanging up items that would otherwise be on the floor, such as bikes, water hoses, and extension cords. There are so many creative wall rack ideas that can be used to organize your storage shed and keep items from piling up on the floor. 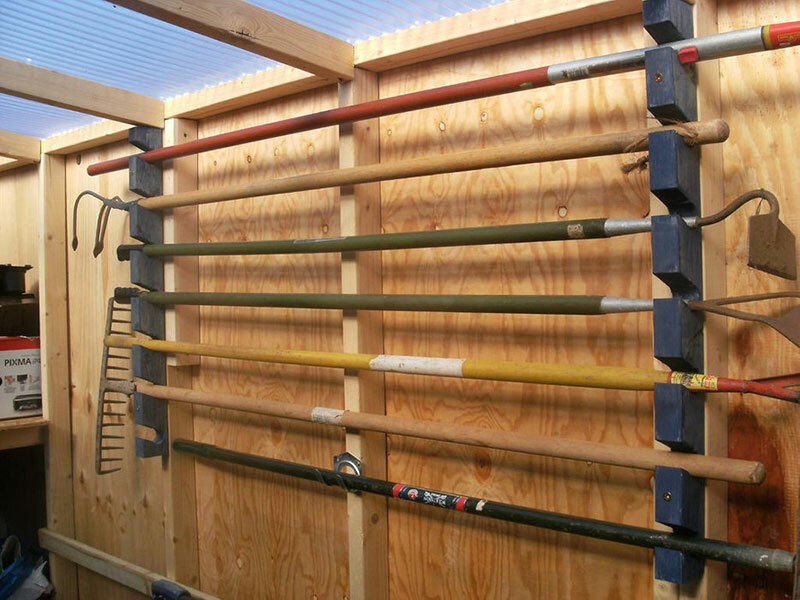 Racks are great for lumber storage, garden tools, pipe storage, and more. While you can purchase some types of wall rack storage, here are some photos of DIY wall rack ideas that impressed us. Do you have old pallets laying around? Now you can put them to use and clean up your shed in the process. 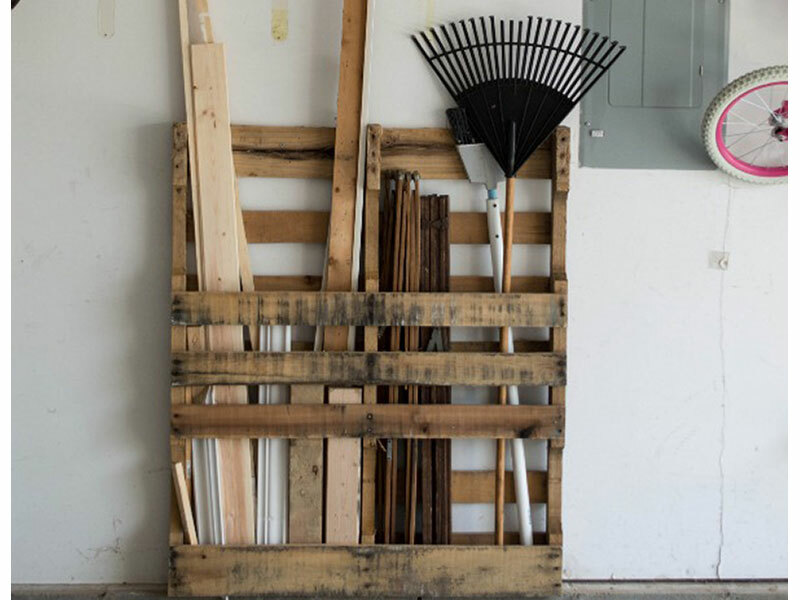 Pallets can be turned into garden tool holders, bike racks, lumber and pipe organizers, and tool holders. Check out these images to see what we’re talking about. 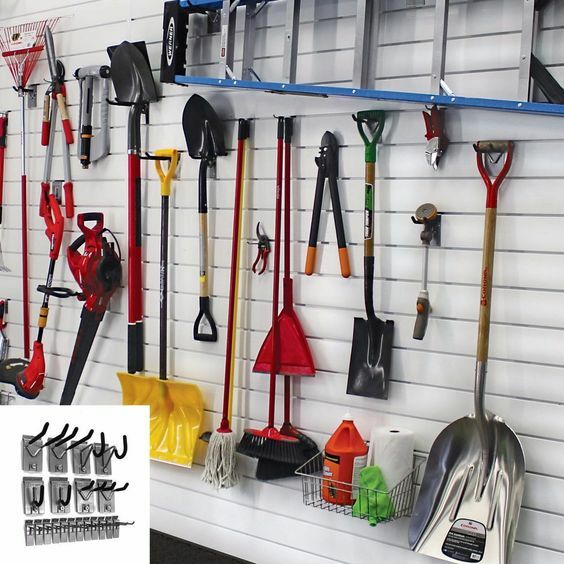 If you are using your shed for a workspace or tool shop, it is easy for it to become cluttered with small accessories and hardware. By using some old containers and jars that are laying around to organize these items you can make your life a lot easier. 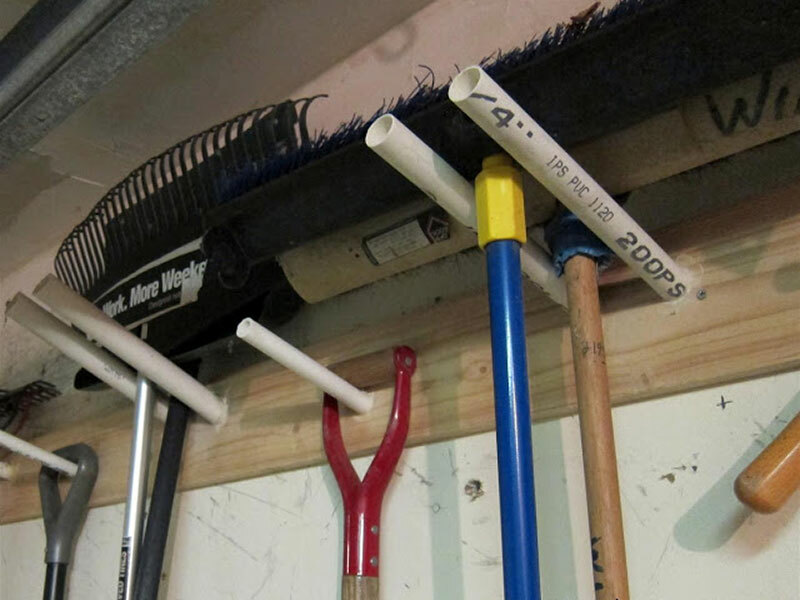 Needing more space in your shed to organize your items? Start by looking up. 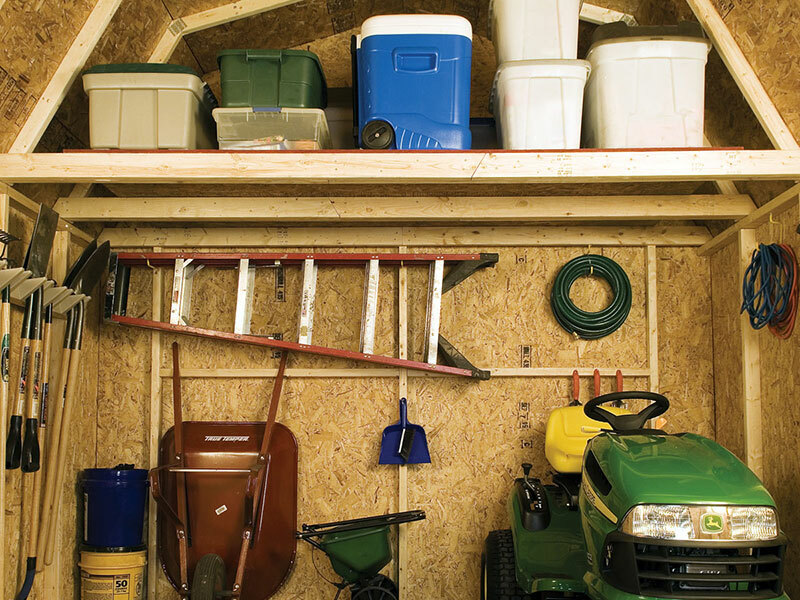 The ceiling space of your shed can be used for some valuable storage space. One of the best ways to do this is by adding a loft to your storage shed. Many of our customers think ahead and order a storage shed with a loft already built in it. This adds another level to your shed that you can stack boxes and totes in to get them off your floor level. 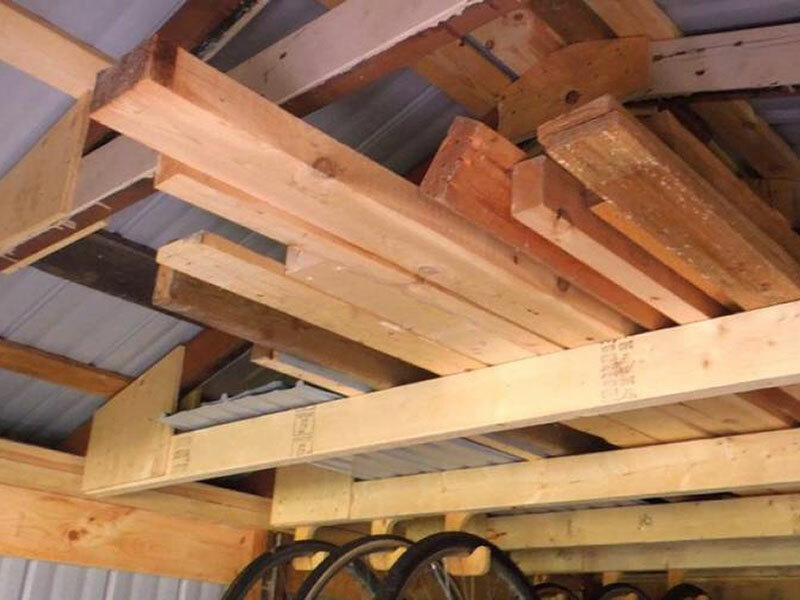 Another way to use your ceiling space in your shed for storage is to run some cross boards on the bottom side of the trusses. 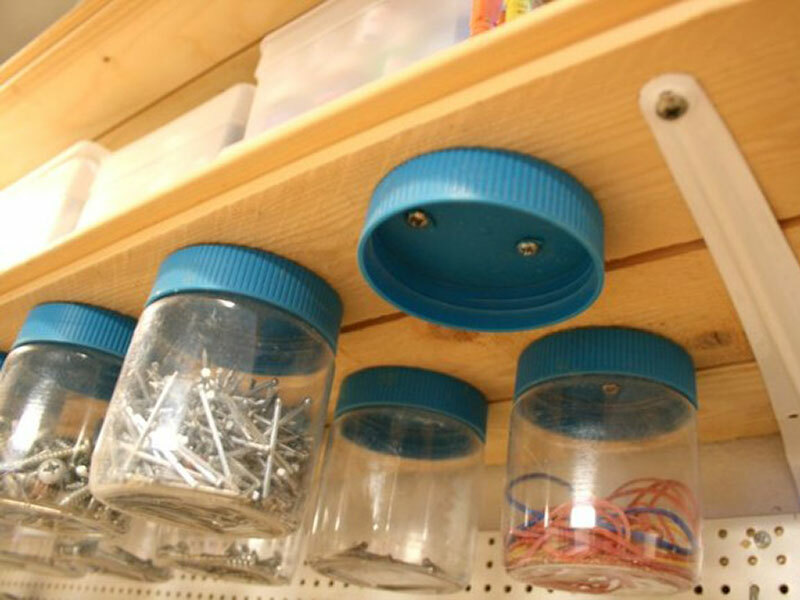 This creates ceiling racks that you can use to store boards, pipes, and other long items. 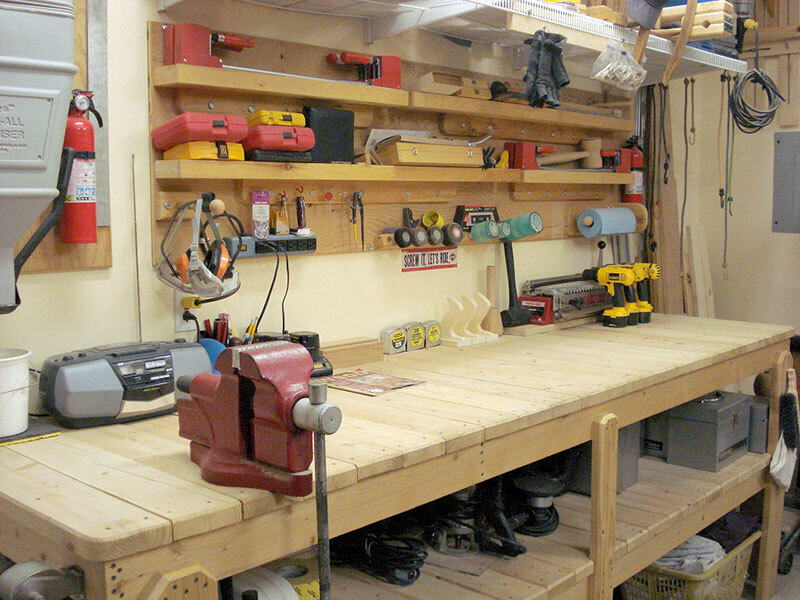 Workbenches are a great companion to the pegboard or wall panel storage shed organization system. By adding a workbench to your shed you not only add a permanent workspace, but also provide a space to store more tools and equipment on. 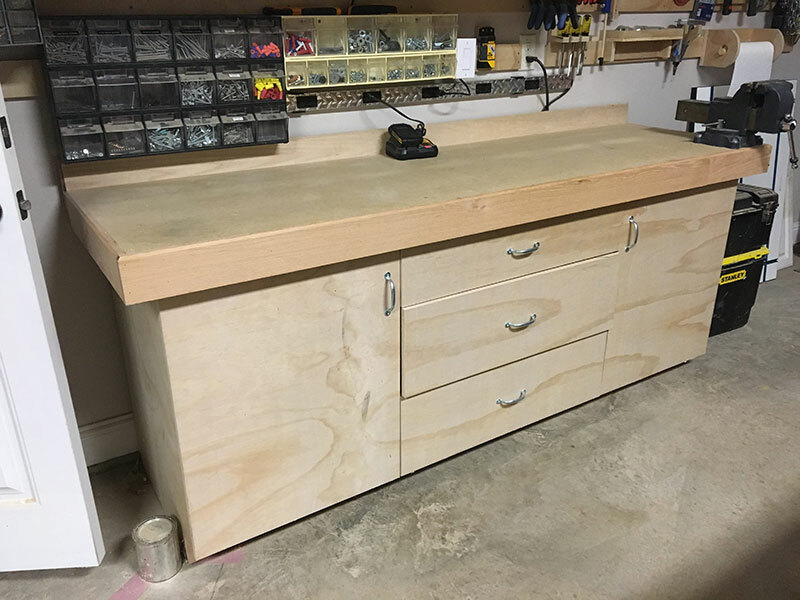 If you really want to maximize a workbench build it on top of a cabinet or with drawers underneath. Then you have the space above for working and storage space underneath to keep items protected from dust and better organized. If you are needing to use your shed to store lots of household items, valuables, and other odds and ends, it is worthwhile to invest in some good quality, stackable storage containers. Plastic bins or tomato boxes are great options for this. 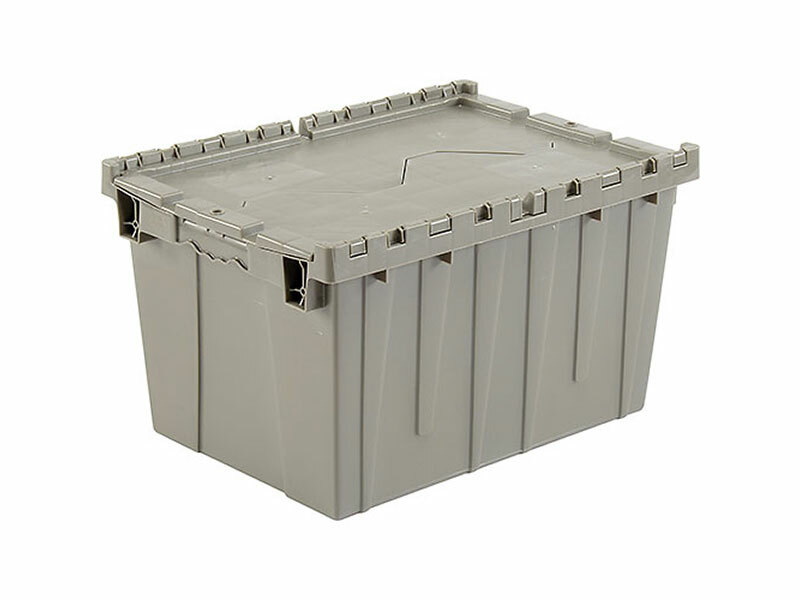 With these you types of containers you can stack items on top of each other in an orderly manner. Then you can label the sides so it is easy to see where things are when you need to access them later. 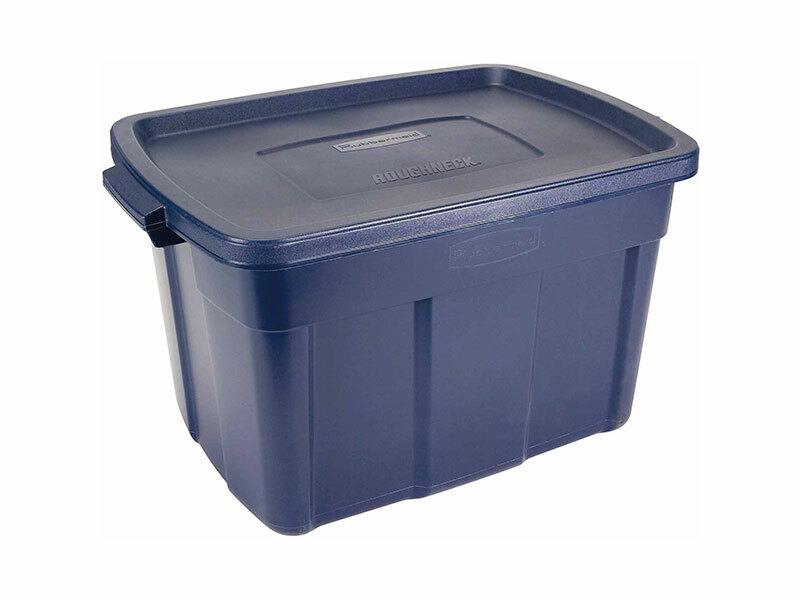 Stackable storage containers are one of the best ways to keep a shed full of household items organized. They Are Fun to Organize!